After hearing we’d be in the country for a few days, J’s coworker invited us to his home on modena to meet up for a day trip to Venice. Armed with only a map and no prior knowledge of the city (even for the Italians) we hoped in the car and set off on an adventure. After a few mishaps at the train station, including tolls for the restrooms (more on that later) and a missed trolley, we finally arrive at the famous Grand Canal. In addition to its intricate canal system, Venice is the home of an crazy maze of alleys and shops. Allow yourself to get lost here because there's to much to see and do to really plan. 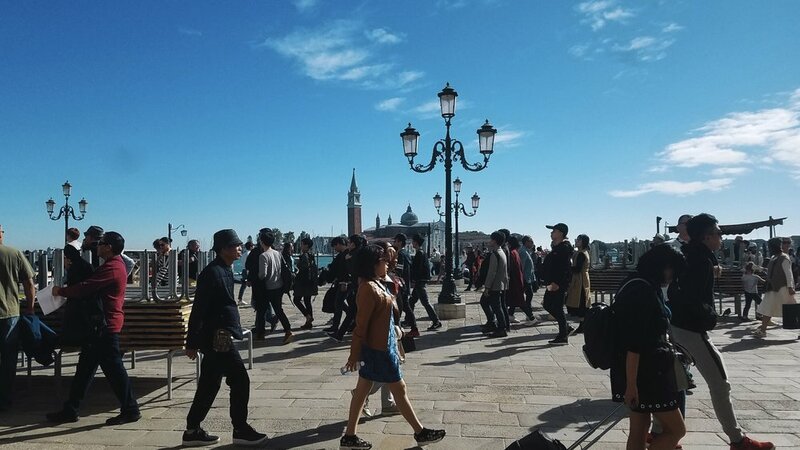 We hopped on a ferry and took in the amazing architecture from the water before stopping in Saint Marco’s Piazza and finding our way around.